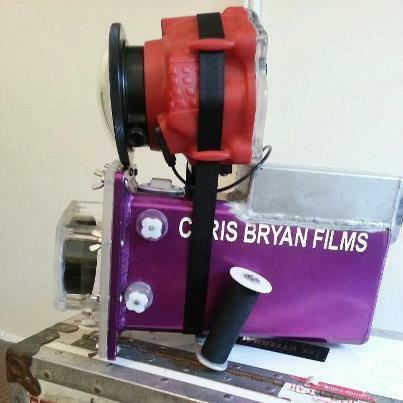 This popped up on my Facebook feed via Aquatech, Chris Bryan with what appears to be a 7D housing strapped to his brilliantly no frills Phantom camera housing, so he can shoot stills whilst shooting ultra high frames per second footage with the Phantom. I assume this is just messing about, I doubt he’ll actually be taking this into any waves. Interesting to notice the GoPro mount on there, the Phantom Gold range starts at $50,000 so it’s pretty awesome that a little £300 camera can find a place in someone like Chris Bryan’s kit bag.